Can You Get Full Dentures with a Few Original Teeth? 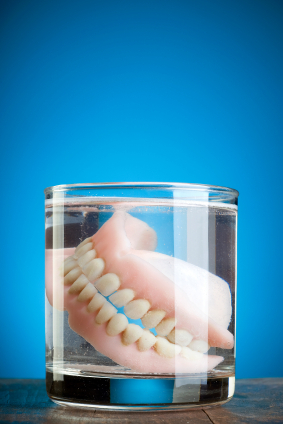 Many people, when they think of dentures, think of something that completely replaces their teeth. While it is certainly possible to get a full set of dentures, it is not necessarily true that you cannot get dentures if you have a few of your original teeth remaining. Dentures can be custom-fitted to match the exact contours of your gum tissue. In fact, the best dentures are ones that are created in a dental laboratory just for you. Rather than ordering a one-size-fits-all set of dentures, if you have to replace your teeth, you want to get the fitted dentures. Having said this, there is no reason that the dentures cannot be fitted to go around a few existing teeth. Of course, this will depend greatly on a few factors. For example, which teeth are remaining? Teeth that are in certain locations in the mouth are much easier to fit a denture around than teeth in other locations. Also, the overall size and shape of your mouth will have some impact on this. Regardless, you should not simply resign yourself to the fate of having all your remaining teeth pulled. Instead, take some time to talk with us about your situation. We can look at your remaining teeth and tell you whether they can be left in place or not. Above all, don't be afraid of the process of getting dentures. While they will definitely take some getting used to, once you have your dentures, you will realize just how much you missed having a full set of teeth. You'll be able to enjoy foods that you might have given up on, and you'll be able to speak better with a full set of teeth. It is possible to keep a few original teeth and get dentures. Talk with us about it, and you'll be pleasantly surprised at your options.